Friedreich’s ataxia is one of several different types of ataxia with different causes and prognoses. Friedreich’s ataxia is characterized by muscle weakness, loss of coordination, impairment of vision and hearing, slurred speech and curvature of the spine (scoliosis). Frequently, it results in the development of diabetes and/or heart failure. There is no cure; however, Coenzyme Q10 supplements can help to ameliorate the symptoms because of Coenzyme Q10’s role in cellular energy production and in antioxidant defense against oxidative damage to cells. Considerably reduced concentrations of Coenzyme Q10 in the skeletal muscle – up to 75% reduced levels – are associated with a diagnosis of ataxia. Coenzyme Q10 supplementation has proven beneficial in the treatment of both early and later stages of early-onset ataxia as well as in the treatment of adult-onset ataxia [Mantle & Hargreaves 2018]. 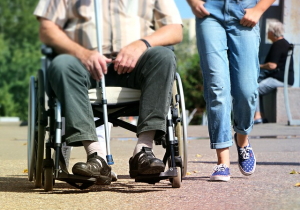 Ataxia is the medical term for the loss of control of bodily movement, characterized by difficulty in walking and loss of balance. Ataxia can also affect eye movement, speech, and ability to swallow. Above and beyond the skeletal muscle dysfunction, spinocerebellar ataxia and Friedreich’s ataxia can be implicated in the development of heart muscle dysfunction. The heart muscle dysfunction can be a significant cause of disability and death in ataxia patients. Coenzyme Q10 plays an essential role in the process of cellular energy production. Coenzyme Q10 has an important function as an antioxidant protecting against oxidative damage to cellular proteins, lipids, and DNA. The beneficial effect of adjuvant Coenzyme Q10 treatment of chronic heart failure patients was demonstrated in the Q-Symbio study. Daily supplementation with 300 milligrams of Coenzyme Q10 for two years significantly improved the patients’ symptoms and survival compared to placebo supplementation [Mortensen 2014]. Daily supplementation with 200 milligrams of Coenzyme Q10 in combination with 200 micrograms of high-selenium yeast for four years in the KiSel-10 study was associated with significantly reduced death from heart disease and improved quality of life in healthy elderly study participants compared to placebo supplementation [Alehagen, 2015; Johansson 2015]. A 2010 study reported significant improvement in ataxia patients with known Coenzyme Q10 deficiency when the patients were supplemented with Coenzyme Q10 at a rate of 30 milligrams per kilogram of body weight per day over a two-year period [Pineda 2010]. Coenzyme Q10 supplementation in daily dosages ranging from 300 – 3000 milligrams per day was associated with significant improvement in ataxia symptoms in two different studies [Musumeci 2001; Lamperti 2003]. Thirteen childhood-onset ataxia patients with decreased skeletal muscle levels of Coenzyme Q10 and with cerebellar atrophy responded to daily Coenzyme Q10 supplementation [Lamperti 2003]. Friedreich’s ataxia is an inherited disease that leads to progressively worse damage of the nervous system. It affects coordination, energy levels, and vision, hearing, and speech. It can lead to the development of scoliosis and insulin-dependent diabetes. A majority of patients with Friedreich’s ataxia eventually develop thickened heart muscles that make the pumping of blood more difficult. This condition — called hypertrophic cardiomyopathy — often leads to heart failure and death [Mantle & Hargreaves 2018]. In a 2008 study, 50 Friedreich’s ataxia patients with low International Co-operative Ataxia Ratings Scale (ICARS) scores were randomly divided into high or low dose Coenzyme Q10 and vitamin E treatment groups. Over a two-year period, high-dose patients took 600 milligrams of Coenzyme Q10 and 2100 international units of Vitamin E per day; low-dose patients took 30 milligrams of Coenzyme Q10 and 24 international units of Vitamin E per day. At baseline in the study, a high proportion of the Friedreich’s ataxia patients had decreased serum Coenzyme Q10 concentrations. The low-dose and high-dose Coenzyme Q10 and vitamin E therapies were equally effective in improving the patients’ ICARS scores [Cooper 2008]. Spinocerebellar ataxias are rare neurodegenerative disorders characterized by increased oxidative stress, by abnormalities in the antioxidant system, and by changes in the mitochondrial process of energy production. Treatment with Coenzyme Q10 can give improved clinical outcomes in patients with spinocerebellar ataxia types 1 and 3 [Lo 2015]. Treatment with Coenzyme Q10 can partially reverse the changes in antioxidant status and in bio-energetics [Cornelius 2017]. of cholesterol, they also inhibit the body’s production of Coenzyme Q10 because the endogenous Coenzyme Q10 is synthesized on the same biochemical pathway as cholesterol [Mantle & Hargreaves 2018). Dr. Mantle and Dr. Hargreaves  report that there is not yet a consensus on the optimal dosage of Coenzyme Q10 for ataxia patients. Dosages in the range of 300 to 3000 milligrams per day have been used and have been well-tolerated [Mantle & Hargreaves 2018]. Absorption and steady-state bio-availability of Coenzyme Q10 is generally low because of the large size and lipid solubility of Coenzyme Q10 molecules. Absorption varies according to the quality and the formulation of the supplement [Mantle & Hargreaves 2018]. Mantle, D. & Hargreaves, I. P. (2018). Ataxia and Coenzyme Q10: an overview. British Journal of Neuroscience Nursing, 14,3, 2-7. Please click here for additional information about Coenzyme Q10 and good heart health.